Regardless of age, studying then taking a test, comes with a lot of mental energy, worry and anxiety. 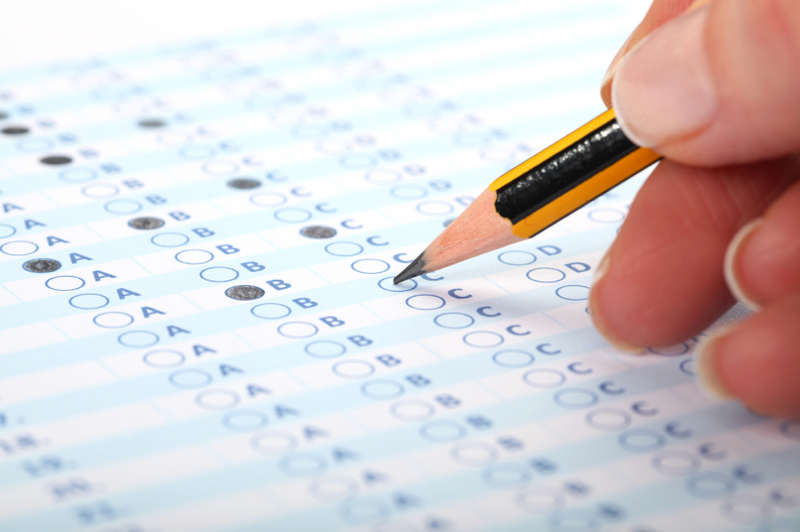 For some, multiple choice exams are a breeze. For others, it’s an analytical mind-game leading to one’s head spinning over choosing a, b, c, d, none of the above or all the above. Others may prefer written or oral exams while others cringe at the thought of presenting and being judged. To provide some clarity, ease and focus we turn to Dr. Sanam Hafeez, a NYC based licensed clinical neuropsychologist, teaching faculty member at the prestigious Columbia University Teacher’s College and the founder and Clinical Director of Comprehensive Consultation Psychological Services. Dr. Hafeez offers these 5 test taking survival tips. 1. Study a bit at a time instead of cramming. One of the first steps in feeling confident in test taking is really knowing the material. “Anxiety of any form comes from fear of the future. In this case, it’s fear of not being prepared for the exam. There’s a fear of failure. Allow ample time to fully process the material and at your pace. Understand how you or your child best interprets the information. Some people need to visualize concepts and internalize them so they are relatable,” explains Dr. Hafeez who specializes in evaluating college students with disabilities and advocates for accommodations in college and workplace standardized tests. 2. Make it fun! Dr. Hafeez recommends getting creative and doing whatever it takes for the material to resonate with you. Inventing stories that include the concepts you are learning may help. Playing trivia games with a study group and creating an upbeat, fun learning atmosphere is a great way to remember key points easier. “Some students make up rap songs, other might draw a picture or diagram, others associate concepts to colors. The key is really understanding what makes a concept stick in your mind. Most people really learn when they process the material applying it to themselves,” she explains. 3. Do some mental interval training. Use an alarm and go through material for 30 minutes. Then when the alarm goes off, review the material and write of which key points will most likely be a test question. “This helps the mind focus on the end goal which is being able to anticipate and answer test questions correctly. It helps people to learn in chunks and really retain information that is necessary, causing them to focus and drill down to what’s really important,” says Dr. Hafeez. 4. Get physical. “You want to remain focused with blood flowing. Studying while lying down or hunching over a desk for hours on end will cause sluggishness, drowsiness, boredom and impairs retention,” cautions Dr. Hafeez. A learning technique that works for many is to study while standing. Get a dry erase board or easel with paper. Read aloud then at the end of each page write down possible test questions with answers on the board. Snap a picture of the board and make a slideshow of all the possible test questions you can review again later. 5. Eat well and rest well. It is common for people to be so nervous before an exam that they tense up and lose their appetite. They may even lie awake going through all they learned in their minds. To prevent this be sure to have healthy snacks and drinks within reach. Opt for water or iced green tea and avoid soda. Processed high carb, high fat foods, and sugary high caffeinated drinks will give you a boost at first but then you’ll feel filled up and lethargic. Chopped apples and peanut butter, soups, and veggies with hummus are easy on the stomach and are brain boosting foods. “If unable to sleep, lay down, breathe and listen to music, read or watch something unrelated to the exam. You want to wind down your mind and rid any anxious thoughts that may lead to insomnia. Ending the study time an hour or two before bed will give the mind time to switch off from studies and settle down for sleep,” recommends Dr. Hafeez. “The key to making the grade is to really listen to yourself and get to understand how you or your child learns. Once that is identified, information is absorbed easily and fits like a puzzle piece in the mind,” encourages Dr. Hafeez.